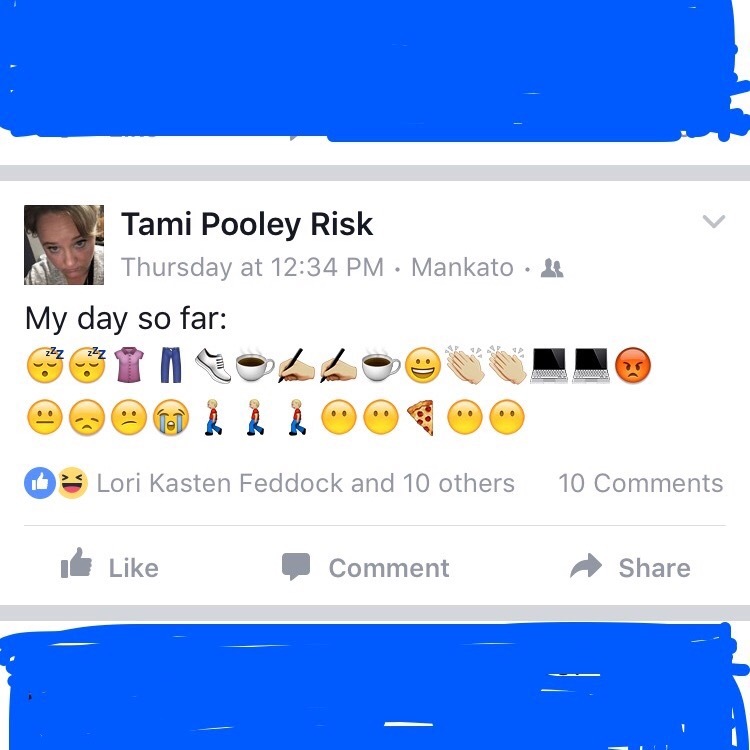 On meltdown day, my Facebook status was composed in emojis, and this was only until noon i.e. Pre-free pizza (thanks help desk). It was maybe one of the worst days of my life so far. I realized that day – no matter how well you raise your child(ren) to be good and kind and honest and truthful and respectful to others – that they will still be little jerks at age 16. They might lie…about really stupid stuff. They might disrespect you by doing things you ask them not to, or NOT doing things you ask them to do. It is a losing battle raising a 16 year old…and I can only hope that every time I have another conversation with him about being honest and respectful, that he is actually listening – even though he is not following through – yet. He has time, he is still learning. And you know what? No matter what, I still love him more than anything at the end of the day. All I (and Al) can do it keep teaching him the right way. He has to learn what is right. < Previous Don’t run the dishwasher if the kitchen sink is in the garage.